Located on the southernmost tip of Africa, South Africa boasts a coastline of 2,798 kilometres that stretches along the south Atlantic and Indian Oceans with neighbouring countries of Namibia, Botswana, Zimbabwe, Mozambique and Swaziland with Lesotho being encircled by South Africa. It is the 25th largest country by land area in the world. South Africa has cheap flights landing on its soil from over 40 international countries that include Turkish Airlines, Qatar Airways, Air France, Singapore Airlines, Air China, Egypt Air, RwandAir, Air Canada and Qantas. Major cities in South Africa comprise Johannesburg, birthed by the gold rush and the country’s financial and entertainment hub; Cape Town with Table Mountain as a its back-drop and recognized as one of the most beautiful cities in the world; Durban, well-known for hot sunny weather, beaches and the Zulu nation; Pretoria, with streets lined in lilac by Jacarandas is home to the Union Buildings; Port Elizabeth, the friendly, laid-back city with exceptional hospitality; Bloemfontein, full of history and known as the City of Roses; Nelspruit, the gateway to a range of game reserves and the Kruger National Park. South Africa has a warm climate and is relatively dry. Recognized for its sunshine, it has an annual rainfall of around 464mm. Cape Town’s dry periods are January to March, November and December. January is generally the warmest and driest month with August the coolest and June the wettest. Johannesburg’s warmest months are January, February and December with January the warmest. Its wettest months are January to March, November and December with dry periods from May to August. The coolest month is July with June the driest. On stunning hot summer days, afternoon showers are a welcome relief. Durban normally has around 320 days of sunshine annually with hot, humid summers and winters that are warm and sunny. January, February and December are usually the hottest while the rainy season is from January to March, November and December. Durban’s dry period is from May to August, with June being the driest, January the wettest and July the coolest. Temperatures in midsummer range from 28 to 33°C while midwinter sees temperatures between 16 to 23°C. Port Elizabeth’s warmest month is January, July the coolest, August the wettest with December the driest. Nelspruit’s warmest month is January, July the coolest, November the wettest and July the driest. The busiest times for travel are from mid December to mid January including early April with prices for air travel and accommodation during these months being at their highest and bookings needing to be made well in advance. 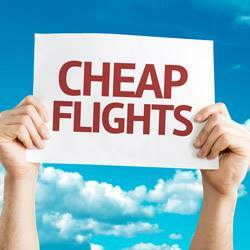 Cheap Flights South Africa will be hard to find around this time of the year due to high demand. Mid seasons take place at the beginning of December; late March; early April; the latter part of June; first half of July; early August; late September and early October. Prices for accommodation and air travel from June to October are cheaper. For lower prices on accommodation and air fares, the best time to visit Cape Town is from March to May with desirable weather and fewer crowds. Perfect for overseas visitors on extended holidays that want to see as much as possible with flexibility is to hire a suitable or cheap rental vehicle with a GPS and 24-hour roadside assistance. There are innumerable reputable car hire companies like Avis, Sixt, Tempest or Europcar based at the airport, in the city and at major locations. To get from one city to another visitors have a choice of luxury buses including Greyhound, Intercape and specifically for backpackers, BazBus although the latter is not the most inexpensive. The ideal solution for tourists with limited time wanting to experience specific places is to take a cheap flight with FlySafair, Mango Airlines, Kulula or Skywise. Keep daily tabs on their websites as special deals are offered for booking on one specific day for later travel. Flyafrica is perfect for cheap flights to neighbouring countries. Travelling by train is another alternative. The Shosoloza serves Cape Town, Johannesburg, Durban, Port Elizabeth, East London, Queenstown and Bloemfontein. It’s safe, comfortable and stops at small towns along the way. Visitors wanting luxury train travel can indulge in the Blue Train that travels from Cape Town to Pretoria, affords comfortable compartments with superb food, wine and cigars. Rovos Rail is another option for opulent train travel with scrumptious, traditional dishes served in a charming Victorian atmosphere with suites comprising Royal, Deluxe and Pullman. Rovos Rail arranges tailor-made charters, hosts weddings and events and offers a range of fantastic packages to suit every whim. With dissimilar regions it’s a difficult choice on where to go when visiting South Africa unless you’re visiting for a specific reason. All provinces have an array of accommodation from luxurious to affordable, spectacular natural scenery and an abundance of outdoor activities. Major cities have a great selection of night entertainment comprising clubs, pubs, restaurants, live music shows, theatre, museums, art galleries, zoos, with additional activities in peak season and coastal cities have superb beaches. Besides the cities of Johannesburg and Pretoria, this province offers an enormous variety of shopping malls, entertainment and outdoor activities. The Vaal River is great for families with swimming and water sports. The Cradle of Humankind is the richest hominine site in the world, is home to numerous plants, birds and animals including the Sterkfontein Caves and Wonder Cave, the country’s third largest cave chamber. There are spectacular wonders of mountainous terrain, rolling midlands, Bushmen heritage sites and Zulu/Boer/British war history sites. Ukhahlamba-Drakensberg National Park affords hiking, rock climbing and fly-fishing. It includes the country’s highest mountain range and a 1000m high wall of rock 5km in length with several games parks and marvellous bird life. Valley of a Thousand Hills where fishing, rock climbing, game watching, swimming, boating and cycling is enjoyed. iSimangaliso (St Lucia) Wetland Park offers visitors diverse wildlife and outdoor experiences beyond the imagination. Jozini Dam for fly-fishing has 27 species including the ferocious tiger fish! An agricultural area comprising largely of sweeping farmlands, natural sandstone cliffs, home to the oldest meteorite impact site in the world and where San rock art and dinosaur fossils were found. Golden Gate Highlands National Park nestled at the foothills of the Maluti Mountains is renowned for the golden aura illuminated by the sun over its sandstone outcrops and cliffs. Great for family outings. The Diamond and Wine Route enlightens visitors to what diamond prospectors endured when excavating for those sparkling stones. All seven ecological zones occurring in South Africa are incorporated in this area including three biodiversity regions further enhanced by 820 kilometres of wild, untouched coastline. Tsitsikamma National Park comprises striking coastal scenery, rivers, reefs and indigenous forests, a must for nature lovers. Camdeboo National Park features the Valley of Desolation, a top notch attraction including game and bird viewing, walking, 4x4 trails and water sports. Home to the world’s longest wine route with numerous mountain ranges, fishing villages, arid semi-desert regions and Cape Agulhas where the Atlantic and Indian Oceans meet. Tankwa Karoo National Park, an hour’s drive from Cape Town is the perfect place for star gazers and includes 4x4 trails, self-drive game viewing and bird watching. De Hoop Nature Reserve, 3 hours drive from Cape Town consists of 34 000 hectares with the largest protected marine reserve extending 5km out to sea it has an abundant and interesting variety of marine life including the Whale Trail. With the Atlantic Ocean as its western boundary it comprises the powerful Orange River with extensive parched plains and breathtaking fields of colourful wild flowers in Namakwaland. Richtersveld National Park with rugged kloofs, amazing landscapes and high mountains has numerous camp sites, hiking trails and fly-fishing in the Orange River. It is only accessible with a 4x4 or high clearance vehicle. Augrabie Falls are nothing less than breathtaking with game viewing and pathways for walking along. Bordering Mozambique, Zimbabwe and Botswana, true bushveld country with rolling plains, majestic mountains, flora and fauna, a pre-historic past and an interesting cultural heritage. Waterberg UNESCO Biosphere, 3 hours drive from Johannesburg includes wilderness and tribal areas, national parks, private game reserves, cultural villages, Pedi potters and much more. Mapungubwe World Heritage Site is rich in history with an abundance of birds and wildlife. Amarula Lapa allows you to sample the smooth Amarula drink in numerous ways, learn about the fruits origins and medicinal properties. Meaning the place where the sun rises is the smallest province but makes up for it with awe-inspiring natural beauty of mountains, canyons, waterfalls, rivers and Khoisan and San rock art. Sudwala Caves set in Precambrian dolomite rock is a great attraction for adults and children, particularly with Dinosaur Park adjacent. The Three Rondavels are magnificent peaks that afford visitors breathtaking views over the Blyde River Canyon. Blyde River Canyon Nature Reserve is a must for hikers and nature lovers including families. The canyon is the third largest in the world and includes the natural geological formations of Bourkes Luck Potholes, Gods Window with astounding views of the Lowveld and much more. Immense grasslands with trees, game reserves, mountains, rivers and where the Boy Scout movement was founded. Madikwe Safari Lodge although a lesser-known park is the fifth largest in the country. Catch sights of the Big 5, the endangered African Wild Dog and hundreds of bird species. Pilansberg National Park, 3 hours drive from Johannesburg is set within the crater of an ancient volcano and has over 7,000 animals including the Big 5. Guests can participate in Rhino tracking excursions, wait patiently in concealed photographic hides, take a walking safari or go up in a hot air balloon for a flawless view. Wondergat is South Africa’s deepest interior natural hole used by professional scuba divers for technical and recreational diving with a maximum depth of around 58 metres.